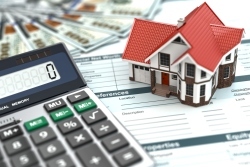 Every real estate owner needs to develop a tax planning strategy to minimize their tax burden. This is especially important right now with significant law changes. Real estate owners who have purchased property and need to act now to avoid hefty tax increases by contacting Meilinger Consulting P.C. Our CPA firm has developed an appeals strategy geared towards a select class of properties that's designed to minimize real estate property taxes. When you turn to us for tax advice, we’ll employ this special strategy to ensure there are no surprises at tax time and you don't overpay. At Meilinger Consulting P.C., we know the tax laws governing South Carolina property tax inside and out, and make it a point to stay updated on each change and revision so we can save you the most money on your taxes. As experienced tax accountants, we’ll look at your complete financial situation and make recommendations to reduce taxes now and in the future. Don’t wait until the next filing deadline approaches! Call us today at 864-288-3049 and get ahead of the game by developing next year’s tax strategies today. Property tax rates in South Carolina are one of the highest in the country. Commercial and investment properties (including rental properties) are taxed 200-300% higher than owner occupied residential properties. Most counties in South Carolina tax commercial properties at 2%-3% of the assessed value or purchase price. You don't need to meet with us in person to get started. Our fee is contingent on your tax savings, there is no cost to you unless there is a reduction. Your savings continue as long as you own the property. We do all the work! All you need to do, is contact us. Complete our contact form now and we'll review your situation to see if your property meets our criteria for appeal. If so, one of our Property Analysts will get in touch with you right away so we can identify the right strategy to reduce your taxes. If you have any questions, please feel free to call our Tax Appeal Manager Doug Dowd directly at 803-422-1340. Fill out our contact information form today – you have nothing to lose except excess real estate taxes!